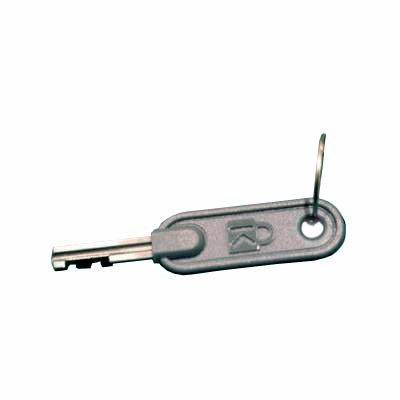 New MicroSaver laptop security lock from D&D! 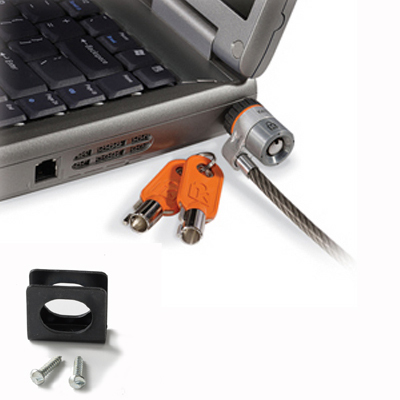 This kit includes a desktop mounting plate with security screws. Deter thieves from stealing your notebook and the personal information on it. 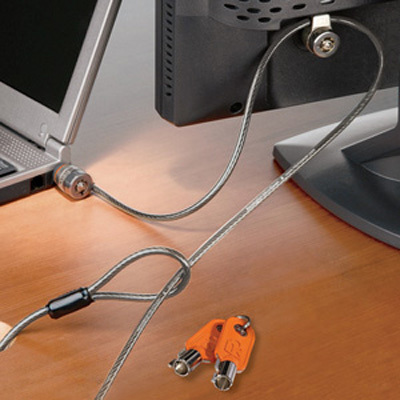 Patented T-bar locking mechanism and super-strong carbon tempered steel cable provide maximum protection that attaches to the "micro-security" slot found on 99% of notebooks. Secure, protect and lock down your computer and leave it safe. This cable is master-keyed. 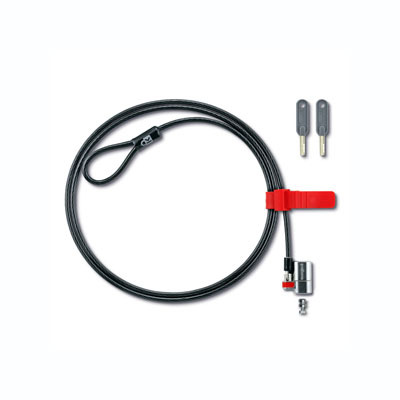 Be the first to review “MicroSaver Notebook Lock Bundle (Master-Keyed)” Click here to cancel reply.